Marriage*: He married Mary Ann Mannering, daughter of James Mannering and Hester Naudain. Birth*: He was born on 4 September 1829. Note*: He died in childhood. Birth*: He was born on 23 September 1830. Marriage*: He married Mary Ann Alexander on 16 May 1854. Death*: He died on 11 April 1876 at age 45. Marriage*: She married James Mannering, son of James Mannering and Hester Naudain, on 16 May 1854. Birth*: She was born on 24 November 1833. Marriage*: She married Stringer L. Tinley on 1 January 1850. Death*: She died on 24 December 1893 at age 60. [S1] Ruth Bennett, Naudain Family of Delaware (Geneva, Neb. : n.pub., 1941), pp. 68-69. This material is a typescript of "notes" in Ms. Bennett's possession and apparently was originally written and compiled by James W. Lattomus. Copies are with the D.A.R. Library, Washington, D.C., and Roger Bartlett, Austin, Tex., and can be viewed at http://www.rabgenealogy.com/ui53.htm. The notes contain some inconsistencies, and page 45 was missing from the D.A.R. Library copy when it was copied. Marriage*: He married Sarah Jane Townsend, daughter of Joshua Townsend and Hester Naudain, on 1 January 1850. Birth*: He was born on 13 December 1835. Birth*: She was born on 15 May 1838. Birth*: He was born on 11 June 1862. Marriage*: He married Eugenia Hildebrand on 1 March 1898. Marriage*: She married William James Mannering, son of Sewell Mannering and Mary Jane Weldon, on 1 March 1898. Birth*: She was born on 29 February 1864. Marriage*: She married William B. Eldridge on 17 November 1886. Marriage*: He married Mary Emma Mannering, daughter of Sewell Mannering and Mary Jane Weldon, on 17 November 1886. Birth*: He was born on 7 September 1869. Death*: He died on 3 February 1888 at age 18. Marriage*: She married George Knotts. Birth*: She was born on 8 November 1851. Death*: She died on 16 August 1887 at age 35. Note*: They lived in Townsend, Delaware. Marriage*: He married Emma Gertrude Tinley, daughter of Stringer L. Tinley and Sarah Jane Townsend. Marriage*: She married William A. Scott. Marriage*: He married Sarah Elizabeth Tinley, daughter of Stringer L. Tinley and Sarah Jane Townsend. "A FORMER MAGISTRATE AND NOTARY PUBLIC AT TOWNSEND FOLLOWS HIS WIFE TO THE GRAVE. "John W. Naudain, an ex-justice of the peace and notary public at Townsend, who resigned a short time ago and was succeeded by Magistrate Bratton, died in Deerfield, N. J., early this week, and was buried at Townsend today. "He was about 65 years old. Mrs. Naudain died seven months ago, but several grown children survive him. Note*: • He was born on the Fields-Naudain homestead near Union Church, Blackbird, Delaware. He farmed it and then farmed some land about a mile east of Blackbird, but eventually he moved to Townsend, Delaware to engage in business. 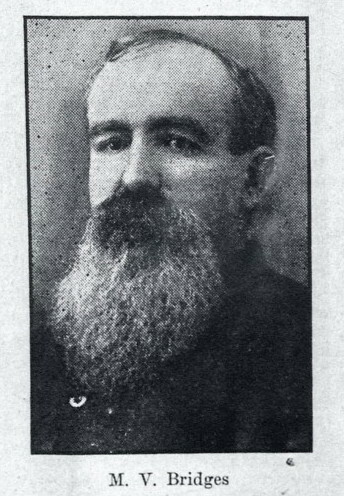 In 1893 he was appointed justice of the peace for Appoquinimink Hundred. He was described as "a man of strict integrity and kind disposition" and was a member of the Methodist Episcopal Church. • His Find A Grave memorial, which includes a picture of his tombstone, id here. [S1] Ruth Bennett, Naudain Family of Delaware (Geneva, Neb. : n.pub., 1941), p. 87 (naming John Naudain as his father). This material is a typescript of "notes" in Ms. Bennett's possession and apparently was originally written and compiled by James W. Lattomus. Copies are with the D.A.R. Library, Washington, D.C., and Roger Bartlett, Austin, Tex., and can be viewed at http://www.rabgenealogy.com/ui53.htm. The notes contain some inconsistencies, and page 45 was missing from the D.A.R. Library copy when it was copied. [S1] Ruth Bennett, Naudain Family of Delaware, above, pp. 87-88. [S961] Find A Grave, online at http://www.findagrave.com, memorial for John W. Naudain, memorial no. 129866009, viewed on 6 Aug 2016 (stating that he was born in 1835 in Delaware). [S961] Find A Grave, online, above, memorial for John W. Naudain, memorial no. 129866009, viewed on 6 Aug 2016. [S961] Find A Grave, online, above, memorial for Rachel S. McCall Naudain, memorial no. 129865973, viewed on 6 Aug 2016. [S1] Ruth Bennett, Naudain Family of Delaware, above, pp. 87-88 (giving the date but apparently mistaking the place as Townsend, Delaware). [S1337] The Evening Journal, Wilmington, Del., online at http://www.newspapers.com, p. 1, col. 1 (obituary of John W. Naudain) (identifying the place but stating the date as "early this week"). [S1337] The Evening Journal, Wilmington, Del., above, p. 1, col. 1. [S1] Ruth Bennett, Naudain Family of Delaware, above, p. 88 (first bullet). [S1] Ruth Bennett, Naudain Family of Delaware, above, p. 88 (second bullet) (stating that he was buried in Emanuel Cemetery). [S961] Find A Grave, online, above, memorial for John W. Naudain, memorial no. 129866009, viewed on 6 Aug 2016 (stating that he was buried in Townsend Cemetery) (second bullet). [S1] Ruth Bennett, Naudain Family of Delaware, above, pp. 87-88 (naming John Wesley Naudain as her father), 99 (naming John W. Naudain as her father). [S1] Ruth Bennett, Naudain Family of Delaware, above, pp. 87-88 (naming John Wesley Naudain as her father). [S961] Find A Grave, online, above, memorial for Mary Ida Naudain, memorial no. 129865960, viewed on 6 Aug 2016 (naming John W. Naudain as her father). [S1] Ruth Bennett, Naudain Family of Delaware, above, pp. 87-88 (naming John Wesley Naudain as his father), 99 (naming John W. Naudain as his father). [S1] Ruth Bennett, Naudain Family of Delaware, above, pp. 87-88 (naming John Wesley Naudain as his father), 100 (naming John W. Naudain as his father). Other Names*: Rachel McCall, Rachel Sabra McCall Naudain, Rachel McCall Naudain, Rachel Sabra Naudain, Rachel Naudain. Obituary*: "Mrs. Rachel Naudain Dead. [S961] Find A Grave, online at http://www.findagrave.com, memorial for Rachel S. McCall Naudain, memorial no. 129865973, viewed on 6 Aug 2016. [S1] Ruth Bennett, Naudain Family of Delaware (Geneva, Neb. : n.pub., 1941), p. 87 (giving the date but not the place). This material is a typescript of "notes" in Ms. Bennett's possession and apparently was originally written and compiled by James W. Lattomus. Copies are with the D.A.R. Library, Washington, D.C., and Roger Bartlett, Austin, Tex., and can be viewed at http://www.rabgenealogy.com/ui53.htm. The notes contain some inconsistencies, and page 45 was missing from the D.A.R. Library copy when it was copied. [S1340] The Morning News, Wilmington, Del., online at http://www.newspapers.com, 2 Dec 1898, p. 2, col. 1 (obituary of Mrs. Rachel Naudain) (stating that she died of grippe). [S961] Find A Grave, online, above, memorial for Rachel S. McCall Naudain, memorial no. 129865973, viewed on 6 Aug 2016 (stating that she died in December 1898 in Delaware). [S1340] The Morning News, Wilmington, Del., above, 2 Dec 1898, p. 2, col. 1. Birth*: He was born on 29 November 1837. [S1] Ruth Bennett, Naudain Family of Delaware (Geneva, Neb. : n.pub., 1941), p. 69. This material is a typescript of "notes" in Ms. Bennett's possession and apparently was originally written and compiled by James W. Lattomus. Copies are with the D.A.R. Library, Washington, D.C., and Roger Bartlett, Austin, Tex., and can be viewed at http://www.rabgenealogy.com/ui53.htm. The notes contain some inconsistencies, and page 45 was missing from the D.A.R. Library copy when it was copied. Birth*: She was born on 29 August 1841. Death*: She died on 28 July 1842. Birth*: He was born on 29 June 1843. Death*: He died on 13 November 1864 in Washington, D.C., at age 21. Note*: He served in the Union Army in the Civil War and died of pneumonia in a hospital in Washington, D.C. Birth*: She was born on 3 January 1846. Death*: She died in April 1900 at age 54. Mary Amanda Naudain Wilson's tombstone, Charlestown Cemetery, Charlestown, Ind., courtesy of Kevin Wright. Other Names*: Mary Naudain, Mary Amanda Naudain Wilson, Mary Amanda Wilson, Mary Naudain Wilson, Mary Wilson. Note*: • She survived her husband and lived in Jeffersonville, Indiana. [S1] Ruth Bennett, Naudain Family of Delaware (Geneva, Neb. : n.pub., 1941), pp. 69, 88 (naming Elias McComb Naudain as her father). This material is a typescript of "notes" in Ms. Bennett's possession and apparently was originally written and compiled by James W. Lattomus. Copies are with the D.A.R. Library, Washington, D.C., and Roger Bartlett, Austin, Tex., and can be viewed at http://www.rabgenealogy.com/ui53.htm. The notes contain some inconsistencies, and page 45 was missing from the D.A.R. Library copy when it was copied. [S1] Ruth Bennett, Naudain Family of Delaware, above, pp. 69, 88. [S961] Find A Grave, online at http://www.findagrave.com, memorial for Mary Amanda Naudain Wilson, memorial no. 70256890, viewed on 25 Jul 2018 (giving the year but no other information). [S961] Find A Grave, online, above, memorial for Mary Amanda Naudain Wilson, memorial no. 70256890, viewed on 25 Jul 2018 (not giving the date). [S961] Find A Grave, online, above, memorial for J. C. Wilson, memorial no. 70256656, viewed on 25 Jul 2018 (not giving the date). [S961] Find A Grave, online, above, memorial for Mary Amanda Naudain Wilson, memorial no. 70256890, viewed on 25 Jul 2018. [S1] Ruth Bennett, Naudain Family of Delaware, above, p. 88 (second bullet). [S961] Find A Grave, online, above, memorial for Mary Amanda Naudain Wilson, memorial no. 70256890, viewed on 25 Jul 2018 (including picture of her tombstone) (second bullet). [S1] Ruth Bennett, Naudain Family of Delaware, above, p. 88 (naming Mary Amanda Naudain as her mother). [S1] Ruth Bennett, Naudain Family of Delaware, above, p. 88 (naming Mary Amanda Naudain as his mother). Joshua C. Wilson's tombstone, Charlestown Cemetery, Charlestown, Ind., courtesy of Kevin Wright. Other Names*: J. C. Wilson. 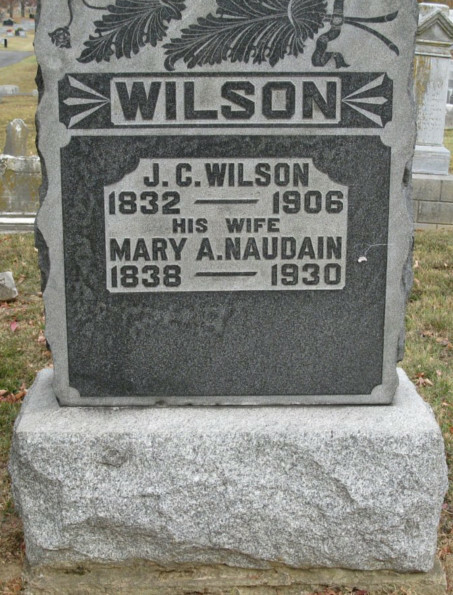 [S961] Find A Grave, online at http://www.findagrave.com, memorial for J. C. Wilson, memorial no. 70256656, viewed on 25 Jul 2018. [S1] Ruth Bennett, Naudain Family of Delaware (Geneva, Neb. : n.pub., 1941), pp. 69, 88. This material is a typescript of "notes" in Ms. Bennett's possession and apparently was originally written and compiled by James W. Lattomus. Copies are with the D.A.R. Library, Washington, D.C., and Roger Bartlett, Austin, Tex., and can be viewed at http://www.rabgenealogy.com/ui53.htm. The notes contain some inconsistencies, and page 45 was missing from the D.A.R. Library copy when it was copied. [S961] Find A Grave, online, above, memorial for J. C. Wilson, memorial no. 70256656, viewed on 25 Jul 2018 (giving the year but no other information). [S1470] The Indianapolis News, Indianapolis, Ind., online at http://www.newspapers.com, 24 May 1906, p. 9, col. 5 (obituary for Joshua C. Wilson). [S1470] The Indianapolis News, Indianapolis, Ind., online, above, 24 May 1906, p. 9, col. 5. [S1] Ruth Bennett, Naudain Family of Delaware, above, p. 88 (naming Joshua C. Wilson as her father). [S1] Ruth Bennett, Naudain Family of Delaware, above, p. 88 (naming Joshua C. Wilson as his father). Other Names*: Laura Naudain, Laura Jane Naudain Teeple, Laura Jane Teeple, Laura Naudain Teeple, Laura Teeple. [S1] Ruth Bennett, Naudain Family of Delaware, above, p. 88-89. [S1] Ruth Bennett, Naudain Family of Delaware, above, p. 88 (naming Laura Jane Naudain as his father). [S1] Ruth Bennett, Naudain Family of Delaware, above, p. 88 (naming Laura Jane Naudain as her father). [S1] Ruth Bennett, Naudain Family of Delaware, above, p. 88 (naming James M. Teeple as his father). [S1] Ruth Bennett, Naudain Family of Delaware, above, p. 88 (naming James M. Teeple as her father). Washington Woolls Naudain's tombstone, Charlestown Cemetery, Charlestown, Ind., courtesy of Kevin Wright. • A Wikipedia article about his Civil War unit, the 22nd Indiana Infantry Regiment, is here, and a Wikipedia article about the Battle of Pea Ridge, Arkansas, in which he was killed, is here. [S1] Ruth Bennett, Naudain Family of Delaware (Geneva, Neb. : n.pub., 1941), p. 69 (naming Elias McComb Naudain as his father). This material is a typescript of "notes" in Ms. Bennett's possession and apparently was originally written and compiled by James W. Lattomus. Copies are with the D.A.R. Library, Washington, D.C., and Roger Bartlett, Austin, Tex., and can be viewed at http://www.rabgenealogy.com/ui53.htm. The notes contain some inconsistencies, and page 45 was missing from the D.A.R. Library copy when it was copied. [S961] Find A Grave, online at http://www.findagrave.com, memorial for Isabella Stringo Woolls Naudain, memorial no. 70256327, viewed on 28 Dec 2014 (naming Isabella Stringo Woolls as his mother). 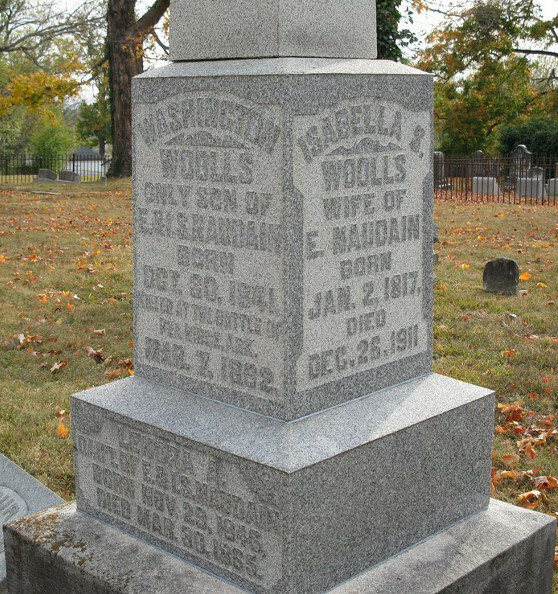 [S961] Find A Grave, online, above, memorial for Washington Woolls Naudain, memorial no. 70256221, viewed on 28 Dec 2014. [S1392] Evansville Daily Journal, Evansville, Ind., online at http://www.newspapers.com, 21 Mar 1862, p. 2, col. 3. Belle Naudain Bridges, courtesy of Mason County (Tex.) Historical Commission. Other Names*: Isabella Naudain, Isabella Woolls Naudain Bridges, Isabella Woolls Bridges, Isabella Naudain Bridges, Isabella Bridges, Belle Naudain, Belle Woolls Naudain Bridges, Belle Woolls Bridges, Belle Naudain Bridges, Belle Bridges. • Her Find A Grave memorial, which includes her picture and a picture of her cemetery plot, is here. [S1] Ruth Bennett, Naudain Family of Delaware (Geneva, Neb. : n.pub., 1941), pp. 69, 89 (naming Elias McComb Naudain as her father). This material is a typescript of "notes" in Ms. Bennett's possession and apparently was originally written and compiled by James W. Lattomus. Copies are with the D.A.R. Library, Washington, D.C., and Roger Bartlett, Austin, Tex., and can be viewed at http://www.rabgenealogy.com/ui53.htm. The notes contain some inconsistencies, and page 45 was missing from the D.A.R. Library copy when it was copied. [S1] Ruth Bennett, Naudain Family of Delaware, above, pp. 69, 89. [S961] Find A Grave, online at http://www.findagrave.com, memorial for Belle W. Naudain Bridges, memorial no. 87812989, viewed on 28 Dec 2014. [S1] Ruth Bennett, Naudain Family of Delaware, above, p. 89. [S1] Ruth Bennett, Naudain Family of Delaware, above, p. 89 (naming Isabella Woolls Naudain as her mother). Martin Vanburen Bridges, courtesy of Mason County (Tex.) Historical Commission. Other Names*: Martin Van Buren Bridges, Martin Bridges. • His Find A Grave memorial, which includes his picture and a picture of his cemetery plot, is here. [S961] Find A Grave, online at http://www.findagrave.com, memorial for M. V. Bridges, memorial no. 87812790, viewed on 28 Dec 2014. [S1] Ruth Bennett, Naudain Family of Delaware (Geneva, Neb. : n.pub., 1941), pp. 69, 89. This material is a typescript of "notes" in Ms. Bennett's possession and apparently was originally written and compiled by James W. Lattomus. Copies are with the D.A.R. Library, Washington, D.C., and Roger Bartlett, Austin, Tex., and can be viewed at http://www.rabgenealogy.com/ui53.htm. The notes contain some inconsistencies, and page 45 was missing from the D.A.R. Library copy when it was copied. [S1] Ruth Bennett, Naudain Family of Delaware, above, p. 89 (naming Martin V. Bridges as her father). Lenora Ann Naudain's tombstone, Charlestown Cemetery, Charlestown, Ind., courtesy of Kevin Wright. [S1] Ruth Bennett, Naudain Family of Delaware (Geneva, Neb. : n.pub., 1941), p. 69 (naming Elias McComb Naudain as her father). This material is a typescript of "notes" in Ms. Bennett's possession and apparently was originally written and compiled by James W. Lattomus. Copies are with the D.A.R. Library, Washington, D.C., and Roger Bartlett, Austin, Tex., and can be viewed at http://www.rabgenealogy.com/ui53.htm. The notes contain some inconsistencies, and page 45 was missing from the D.A.R. Library copy when it was copied. [S961] Find A Grave, online at http://www.findagrave.com, memorial for Isabella Stringo Woolls Naudain, memorial no. 70256327, viewed on 28 Dec 2014 (naming Isabella Stringo Woolls as her mother). [S961] Find A Grave, online, above, memorial for Lenora Ann Naudain, memorial no. 70256424, viewed on 28 Dec 2014. [S1] Ruth Bennett, Naudain Family of Delaware, above, p. 69. [S1] Ruth Bennett, Naudain Family of Delaware, above, p. 69 (giving 29 Nov 1847 as her birth date). [S961] Find A Grave, online, above, memorial for Lenora Ann Naudain, memorial no. 70256424, viewed on 28 Dec 2014 (giving 29 Nov 1846 as her birth date). Emma Naudain Logan's tombstone, Charlestown Cemetery, Charlestown, Ind., courtesy of Kevin Wright. Other Names*: Emmaretta Naudain Logan, Emmaretta Logan, Emma Naudain Logan, Emma Logan. • Her Find A Grave memoria is here. 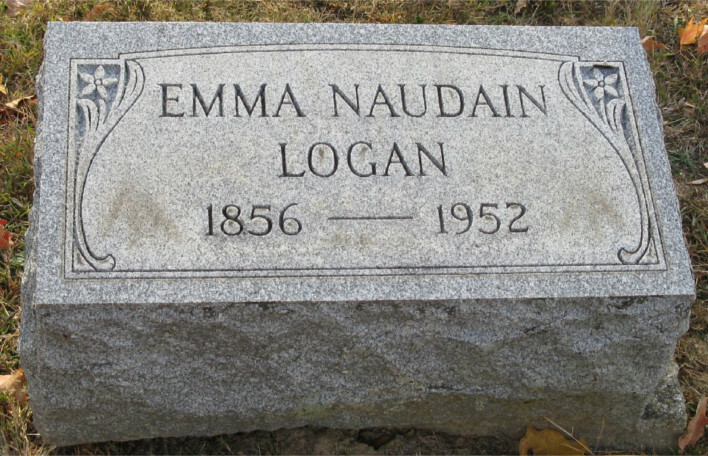 [S961] Find A Grave, online at http://www.findagrave.com, memorial for Emma Naudain Logan, memorial no. 70033649, viewed on 28 Dec 2014 (giving the year but no other information). [S1] Ruth Bennett, Naudain Family of Delaware, above, pp. 69, 89 (stating that they married in 1875). [S961] Find A Grave, online, above, memorial for Emma Naudain Logan, memorial no. 70033649, viewed on 28 Dec 2014. [S1] Ruth Bennett, Naudain Family of Delaware, above, pp. 70, 89. [S1] Ruth Bennett, Naudain Family of Delaware, above, p. 89 (naming Emmaretta Naudain as her mother). 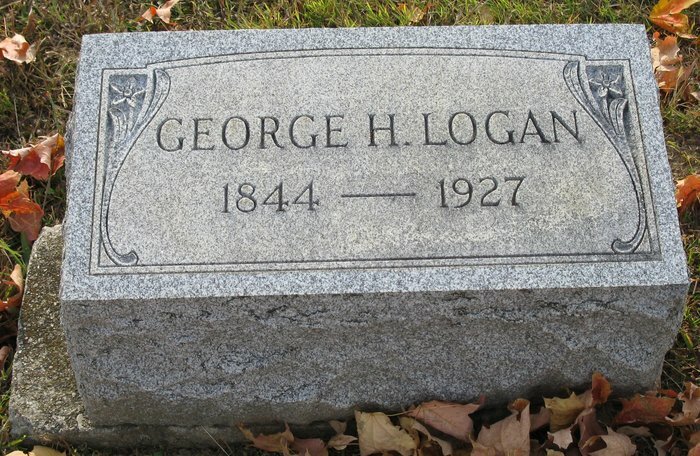 George H. Logan's tombstone, Charlestown Cemetery, Charlestown, Ind., courtesy of Kevin Wright. [S961] Find A Grave, online at http://www.findagrave.com, memorial for George H. Logan, memorial no. 70034938, viewed on 28 Dec 2014. [S1] Ruth Bennett, Naudain Family of Delaware (Geneva, Neb. : n.pub., 1941), pp. 69, 89 (stating that they married in 1875). This material is a typescript of "notes" in Ms. Bennett's possession and apparently was originally written and compiled by James W. Lattomus. Copies are with the D.A.R. Library, Washington, D.C., and Roger Bartlett, Austin, Tex., and can be viewed at http://www.rabgenealogy.com/ui53.htm. The notes contain some inconsistencies, and page 45 was missing from the D.A.R. Library copy when it was copied. [S1] Ruth Bennett, Naudain Family of Delaware, above, p. 89 (naming George H. Logan as her father). Other Names*: Christopher Naudain, C. B. Naudain. "After an illness covering a period of nearly one year, Dr. C. B. Naudain, prominent physician of this city, died suddenly at his home[,] No. 801 West Eighth street[,] this morning. He had been a sufferer from paralysis, but during the past two weeks felt greatly improved in health. Dr. Joseph P. Pyle, his attending physician, saw him yesterday afternoon, and was pleased with the marked improvement the sick man showed. The deceased retired last night and was found dead in bed this morning, having died sometime during the early hours of the morning. "Dr. Naudain was 67 years of age and up to the time of illness had a large practice. "When he was stricken with illness he was obliged to give up his practice. He is survived by a wife and daughter. [S1] Ruth Bennett, Naudain Family of Delaware (Geneva, Neb. : n.pub., 1941), p. 70. This material is a typescript of "notes" in Ms. Bennett's possession and apparently was originally written and compiled by James W. Lattomus. Copies are with the D.A.R. Library, Washington, D.C., and Roger Bartlett, Austin, Tex., and can be viewed at http://www.rabgenealogy.com/ui53.htm. The notes contain some inconsistencies, and page 45 was missing from the D.A.R. Library copy when it was copied. [S961] Find A Grave, online at http://www.findagrave.com, memorial for Dr. Christopher B. Naudain, memorial no. 66374175, viewed on 30 Jun 2016 (giving the year but no other information). [S1337] The Evening Journal, Wilmington, Del., online at http://www.newspapers.com, 28 Nov 1911, p. 1, col. 3 (obituary of Mrs. Jane B. Naudain) (naming Mrs. Jane B. Naudain as widow of Dr.Christopher B. Naudain). [S961] Find A Grave, online, above, memorial for Dr. Christopher B. Naudain, memorial no. 66374175, viewed on 30 Jun 2016. [S1337] The Evening Journal, Wilmington, Del., above, 1 Feb 1904, p. 1, col. 6. [S961] Find A Grave, online, above, memorial for Edgar H Naudain, memorial no. 66374176, viewed on 8 Aug 2016 (naming Dr. C. B. Naudain as his father). [S961] Find A Grave, online, above, memorial for Mary B. Naudain Adair, memorial no. 151170746, viewed on 5 Jul 2016 (naming Christopher Naudain as her father). Other Names*: Jane Burton Harman Naudain, Jane Harman Naudain, Jane Burton Naudain, Jane Naudain. [S1337] The Evening Journal, Wilmington, Del., above, 28 Nov 1911, p. 1, col. 3 (obituary of Mrs. Jane B. Naudain). [S1337] The Evening Journal, Wilmington, Del., above, 28 Nov 1911, p. 1, col. 3. [S1337] The Evening Journal, Wilmington, Del., above, 28 Nov 1911, p. 1, col. 3 (obituary of Mrs. Jane B. Naudain) (naming Jane B. Naudain as her mother). [S961] Find A Grave, online at http://www.findagrave.com, memorial for Mary B. Naudain Adair, memorial no. 151170746, viewed on 5 Jul 2016 (naming Jane Harman Naudain as her mother). Arnold S. Naudain's obituary, Wilmington (Del.) Evening Journal. Click on image to enlarge. Obituary*: • "A. S. NAUDAIN DEAD. "Succumbs to Pneumonia After a Ten-Days’ Illness. "MIDDLETOWN, Del., Feb. 4—After an illness of ten days, Arnold S. Naudain died at his home near here on Friday morning of pneumonia. Mr. Naudain was the son of the late Elias S. and Sarah A. Naudain, and was born near Newark [Delaware] on January 1, 1838, and had spent his entire life in this county. Mr. Naudain was unmarried. He leaves three sisters and one brother. "The funeral services will be held at his late home, on Monday afternoon, at 1:30 o’clock, and interment made in Old Drawyers Cemetery." 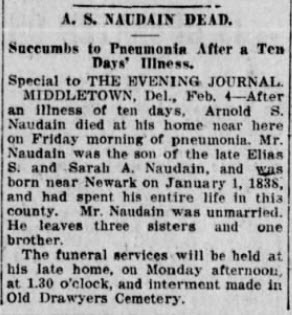 [S1337] The Evening Journal, Wilmington, Del., above, 4 Feb 1911, p. 10, col. 3 (obituary of Arnold S. Naudain) (naming Sarah A. Naudain as his mother). [S720] Dorothy Colburn, comp., Old Drawyers: The First Presbyterian Church in St. George's Hundred (Odessa, Del. : n.pub., 1989), pp. 299 (giving only the year), 326 (giving only the year). [S961] Find A Grave, online at http://www.findagrave.com, memorial for Arnold S. Naudain, memorial no. 5086678, viewed on 3 Apr 2010 (giving the date but not the place). [S1337] The Evening Journal, Wilmington, Del., above, 4 Feb 1911, p. 10, col. 3 (obituary of Arnold S. Naudain). [S720] Dorothy Colburn, comp., Old Drawyers: The First Presbyterian Church in St. George's Hundred, above, pp. 299, 326 (not giving the date). [S961] Find A Grave, online, above, memorial for Arnold S. Naudain, memorial no. 5086678, viewed on 3 Apr 2010 (not giving the date). [S1337] The Evening Journal, Wilmington, Del., above, 4 Feb 1911, p. 10, col. 3 (first bullet). [S1508] Cecil Whig, Elkton, Md., online at https://www.newspaperarchive.com, 11 Feb 1911, p. 1, col. 5 (under “Recent Deaths”) (second bullet). [S961] Find A Grave, online at http://www.findagrave.com, memorial for Alexena Naudain, memorial no. 66374173, viewed on 30 Jun 2018 (naming Elias S. Naudain as her father). [S1441] Wilmington Morning News, Wilmington, Del., above, 31 Jul 1933, p. 2, col. 1 (death notice for Alexena Naudain) (naming Sara Brooks Naudain as her mother). [S961] Find A Grave, online, above, memorial for Alexena Naudain, memorial no. 66374173, viewed on 30 Jun 2018. [S1441] Wilmington Morning News, Wilmington, Del., above, 31 Jul 1933, p. 2, col. 1 (death notice for Alexena Naudain). [S1441] Wilmington Morning News, Wilmington, Del., above, 31 Jul 1933, p. 2, col. 1 (death notice for Alexena Naudain) (identifying the place of interment as "St. Ann's cemetery"). [S1] Ruth Bennett, Naudain Family of Delaware (Geneva, Neb. : n.pub., 1941), p. 89. This material is a typescript of "notes" in Ms. Bennett's possession and apparently was originally written and compiled by James W. Lattomus. Copies are with the D.A.R. Library, Washington, D.C., and Roger Bartlett, Austin, Tex., and can be viewed at http://www.rabgenealogy.com/ui53.htm. The notes contain some inconsistencies, and page 45 was missing from the D.A.R. Library copy when it was copied. [S947] Alfred C. Willits, Ancestors and Descendants of James and Ann Willits of Little Egg Harbor, N.J. (Philadelphia, Penn. : J. B. Lippincott Co., 1898), pp. 17 (spelling his surname as Willits and erroneously giving 1860 as the year), 31 (errata, correcting year to 1869). [S947] Alfred C. Willits, Ancestors and Descendants of James and Ann Willits, above, p. 17. [S947] Alfred C. Willits, Ancestors and Descendants of James and Ann Willits, above, p. 17 (naming Laura Eugenia Naudain as his mother). [S1] Ruth Bennett, Naudain Family of Delaware, above, p. 89 (naming Laura Eugenia Naudain as his mother). [S947] Alfred C. Willits, Ancestors and Descendants of James and Ann Willits, above, p. 17 (naming Laura Eugenia Naudain as her mother). [S1] Ruth Bennett, Naudain Family of Delaware, above, p. 89 (naming Laura Eugenia Naudain as her mother). [S1] Ruth Bennett, Naudain Family of Delaware, above, p. 89 (naming Laura Naudain Willits as his mother). [S1] Ruth Bennett, Naudain Family of Delaware (Geneva, Neb. : n.pub., 1941), p. 89 (naming Horatio Nelson Willitts as his father). This material is a typescript of "notes" in Ms. Bennett's possession and apparently was originally written and compiled by James W. Lattomus. Copies are with the D.A.R. Library, Washington, D.C., and Roger Bartlett, Austin, Tex., and can be viewed at http://www.rabgenealogy.com/ui53.htm. The notes contain some inconsistencies, and page 45 was missing from the D.A.R. Library copy when it was copied. [S1] Ruth Bennett, Naudain Family of Delaware, above, p. 89 (naming Elizabeth Noxon Merritt as his mother). [S947] Alfred C. Willits, Ancestors and Descendants of James and Ann Willits of Little Egg Harbor, N.J. (Philadelphia, Penn. : J. B. Lippincott Co., 1898), p. 17 (spelling his surname as Willits and giving the date but not the place). [S947] Alfred C. Willits, Ancestors and Descendants of James and Ann Willits, above, pp. 17 (spelling his surname as Willits and erroneously giving 1860 as the year), 31 (errata, correcting year to 1869). [S947] Alfred C. Willits, Ancestors and Descendants of James and Ann Willits, above, p. 17 (naming Merritt Noxon Willits as his father). [S1] Ruth Bennett, Naudain Family of Delaware, above, p. 89 (naming Merritt Noxon Willitts as his father). [S947] Alfred C. Willits, Ancestors and Descendants of James and Ann Willits, above, p. 17 (naming Merritt Noxon Willits as her father). [S1] Ruth Bennett, Naudain Family of Delaware, above, p. 89 (naming Merritt Noxon Willitts as her father). [S1] Ruth Bennett, Naudain Family of Delaware, above, p. 89 (naming Merritt Noxon Willitts [sic] as his father). Obituary*: • "Miss Estella Naudain died at her home near here (Middletown, Del.) on Saturday after an illness. She leaves two sisters, Miss Ella Naudain and Mrs. Mary Naudain Daniels, with whom she made her home. The late Dr. Christopher B. Naudain, of Wilmington, was a brother. The funeral services will be held on Wednesday next at 2 o’clock at the house, with interment in St. Anne’s P. E. cemetery." [S961] Find A Grave, online at http://www.findagrave.com, memorial for Estelle Naudain, memorial no. 66374177, viewed on 5 Jul 2016 (naming Elias S. Naudain as her father). [S961] Find A Grave, online, above, memorial for Estelle Naudain, memorial no. 66374177, viewed on 5 Jul 2016. 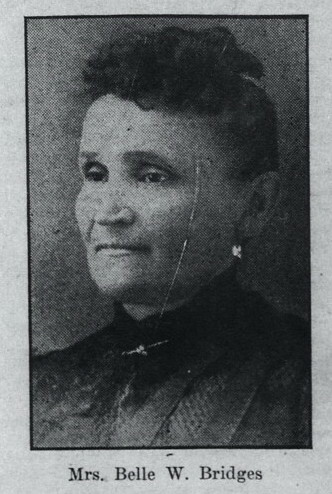 [S1337] The Evening Journal, Wilmington, Del., online at http://www.newspapers.com, 23 Apr 1912, p. 9, col. 2 (obituary of Miss Estella Naudain). [S961] Find A Grave, online, above, memorial for Estelle Naudain, memorial no. 66374177, viewed on 5 Jul 2016 (not giving the date). [S1337] The Evening Journal, Wilmington, Del., above, 23 Apr 1912, p. 9, col. 2 (first bullet). [S1508] Cecil Whig, Elkton, Md., online at https://www.newspaperarchive.com, 27 Apr 1912, p. 1, col. 6 (under “Deaths of the Week”). [S961] Find A Grave, online at http://www.findagrave.com, memorial for Joseph Coudon Naudain, memorial no. 5086681, viewed on 3 Apr 2010 (naming Elias S. Naudain as his father). [S720] Dorothy Colburn, comp., Old Drawyers: The First Presbyterian Church in St. George's Hundred (Odessa, Del. : n.pub., 1989), pp. 300 (giving only the year), 326 (giving only the year). [S961] Find A Grave, online, above, memorial for Joseph Coudon Naudain, memorial no. 5086681, viewed on 3 Apr 2010. [S698] Cecil Co., Md., Marriages Notice Index, online ftp://ftp.rootsweb.com/pub/usgenweb/md/cecil/vitals/femmarr.txt, (attributing information to The Cecil Whig, Elkton, Md., 24 Apr 1886). [S703] Articles from The Cecil Whig, Elkton, Md., online ftp://ftp.rootsweb.com/pub/usgenweb/md/cecil/newspapers/whig1886.txt, (giving her name as Mrs. Caroline Coudon and attributing information to The Cecil Whig, Elkton, Md., 24 Apr 1886). [S961] Find A Grave, online, above, memorial for Emma J. Naudain, memorial no. 5086685, viewed on 3 Apr 2010. [S1508] Cecil Whig, Elkton, Md., online at https://www.newspaperarchive.com, 14 Apr 1900, p. 3, col. 2. Other Names*: Carolina Whittaker Naudain, Carolina Naudain, Caroline Whittaker Naudain, Caroline Naudain. Obituary*: • "MRS. JOSEPH NAUDAIN. "At nine o’clock last Monday morning [15 Aug 1898], Mrs. Caroline Naudain, wife of Joseph Naudain, of Perryville, died at her home in that town after a lingering illness. About seven years ago Mrs Naudain suffered a paralytic stroke, but rallied, so that she enjoyed comparatively good health. Last May she suffered a second attack, and had been from then until her death last Monday morning, completely helpless and unable to talk. "The deceased was a daughter of the late George P. Whitaker of this county, and a sister of Edmund S. Whitaker, of Principio Furnace, and Nelson E. Whitaker, of Wheeling, W. Va., President of the Whitaker Iron Company of that city. She was twice married, her first husband being the late Joseph Coudon, and from which union one son, Joseph Coudon, survives her. On April 16th, 1886, she married Joseph C. Naudain, who mourns her loss. "Mrs. Naudain was a good Christian woman and took a deep interest in religious and all charitable work. Her funeral was held on Thursday afternoon, from the Parish Church, North East." • "DEATH OF MRS. NAUDAIN. "Elkton, Md., August 17 .—Mrs. Caroline Naudain, wife of J. C. Naudain, died yesterday morning near Perryville, after a short illness, aged 60 years. She was the only daughter of the late George P. Whittaker, iron manufacturer, of Cecil county, and was a stockholder of the Wheeling Iron Company, of West Virginia at the time of her death. Mrs. Naudain was twice married, her first husband being the late Joseph Coudon. One son survives her, Joseph Coudon, of Cecil county." • "Death of Mrs. Caroline Naudain. [S1337] The Evening Journal, Wilmington, Del., online at http://www.newspapers.com, 17 Aug 1898, p. 4, col. 4 (obituary of Mrs. Caroline Naudain) (not giving the date but stating that she was sixty years old when she died on 16 Aug 1898). [S1508] Cecil Whig, Elkton, Md., online at https://www.newspaperarchive.com, 20 Aug 1898, p. 1, col. 4 (under “Deaths”) (not giving the date). [S1337] The Evening Journal, Wilmington, Del., above, 17 Aug 1898, p. 4, col. 4 (obituary of Mrs. Caroline Naudain) (stating that she died after a short illness). [S1508] Cecil Whig, Elkton, Md., online, above, 20 Aug 1898, p. 1, col. 4 (under “Deaths”) (first bullet). [S1337] The Evening Journal, Wilmington, Del., above, 17 Aug 1898, p. 4, col. 4 (second bullet). [S1365] The Sun, Baltimore, Md., online at http://www.newspapers.com, 17 Aug 1898, p. 8, col. 2 (third bullet). [S1508] Cecil Whig, Elkton, Md., online, above, 14 Apr 1900, p. 3, col. 2. [S1508] Cecil Whig, Elkton, Md., online, above, 20 Aug 1898, p. 1, col. 4 (under “Deaths”) (naming Caroline Whitaker as his mother). Birth*: She was born on 28 November 1850. Marriage*: She married William J. Daniels on 7 January 1888. Other Names*: Mary Naudain Daniels, Mary Daniels. [S1337] The Evening Journal, Wilmington, Del., online at http://www.newspapers.com, 20 Nov 1913, p. 20, col. 3 (naming Mrs. Mary Naudain Daniels as his mother). Marriage*: He married Mary Naudain, daughter of Elias Skeer Naudain and Sarah Ann Brooks, on 7 January 1888. Note*: He was from Newark, Delaware. Marriage*: She married Joab S. Allston on 8 March 1860 in Delaware. Death*: She died on 7 November 1906. Marriage*: He married Sarah Rebecca Naudain, daughter of Jacob Van Horn Naudain and Mary Ann Horn, on 8 March 1860 in Delaware. Death*: He died on 14 February 1892 in Odessa, New Castle County, Delaware. Burial*: Interment was in Friends Burying Ground, Odessa, New Castle County, Delaware.